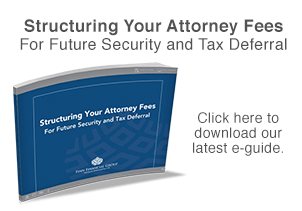 Taxable Damage Structured Settlements, Advocate (May, 2013), pp. 92-97. 01.10.2013 – Why Is This Man So Blue? 01.19.2011 – What’s Your Retirement Vulnerability? 05.17.2010 – Too Old for Financial Security? 03.19.2010 – World Series Champion Now Pitching For Our Team! 11.04.2009 – Got Life . . . ?